vaseline lotion | Badudets Everything Nice! Vaseline Petroleum Jelly is that one multi-purpose product in our household, and I think everyone has a stash in their homes too. Back in high school, since even lip gloss are not allowed in school, we just used petroleum jelly on our lips. When I was in college, a friend shared her secret on having nice feet. She applies Vaseline Jelly on her feet and then putting on socks before going to sleep. The result, smooth and moisturized feet. Those are just some of the wonders of Vaseline Jelly, I’m sure all of us have this one tried and tested use for it. 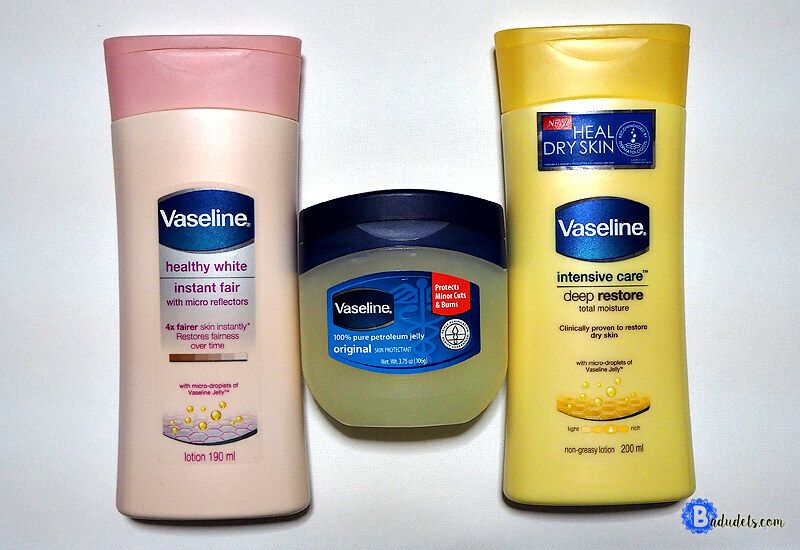 One thing that stands out about Vaseline Jelly is its ability to heal dry skin. It creates a sealing barrier that locks in moisture and protects the skin, supporting its natural recovery process.